These modern parlor chairs are just luxurious. 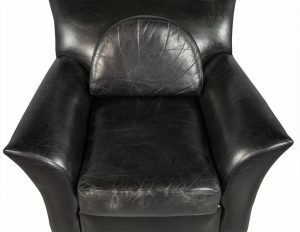 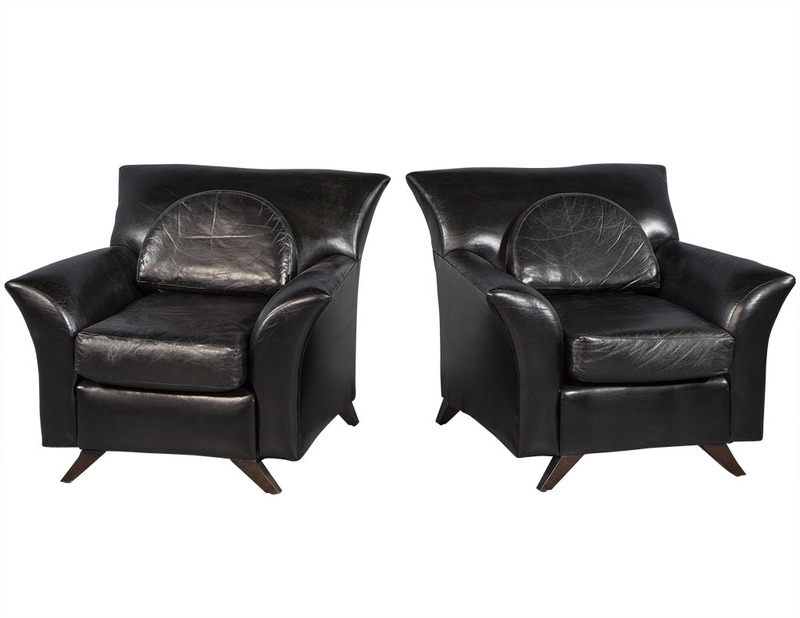 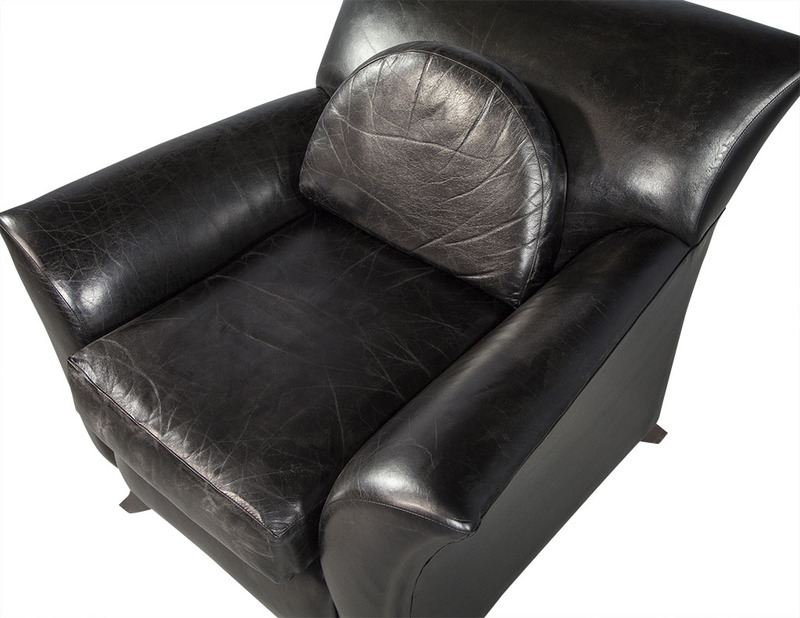 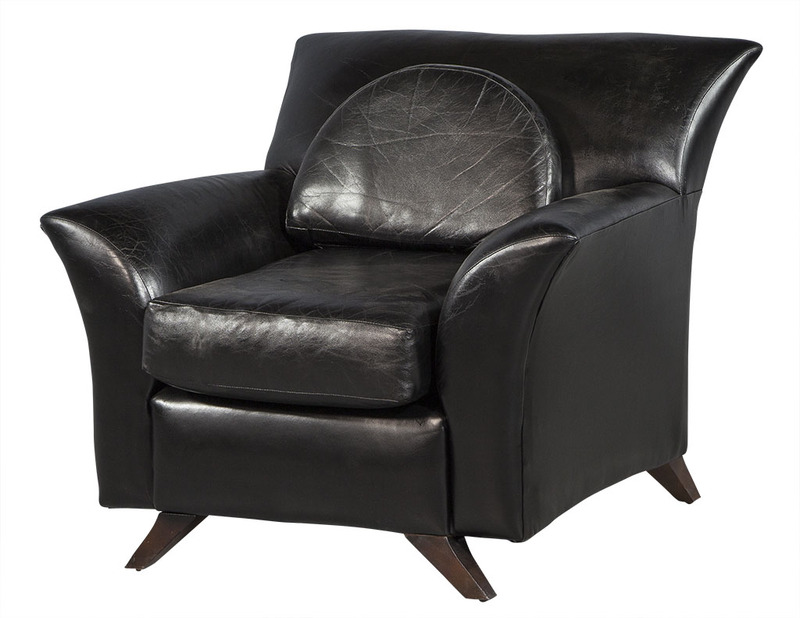 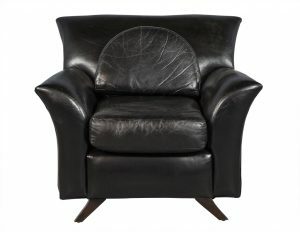 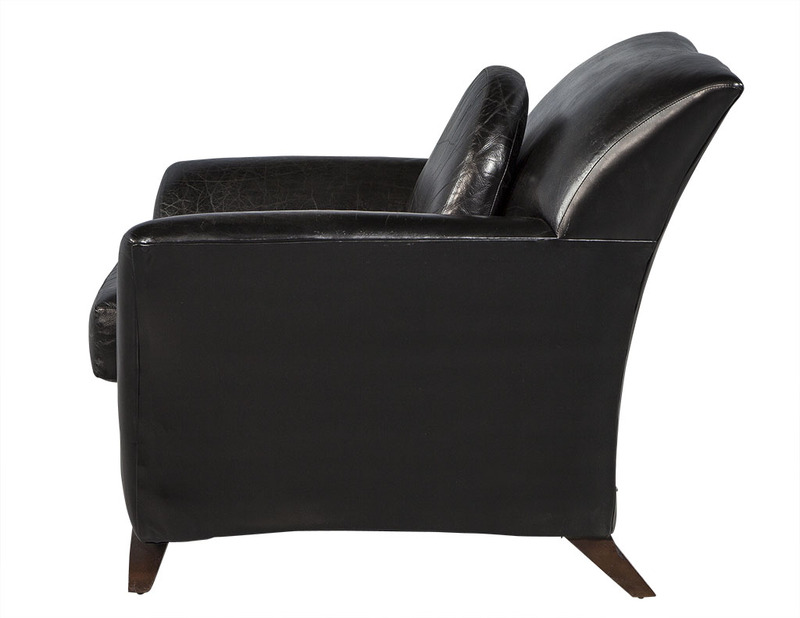 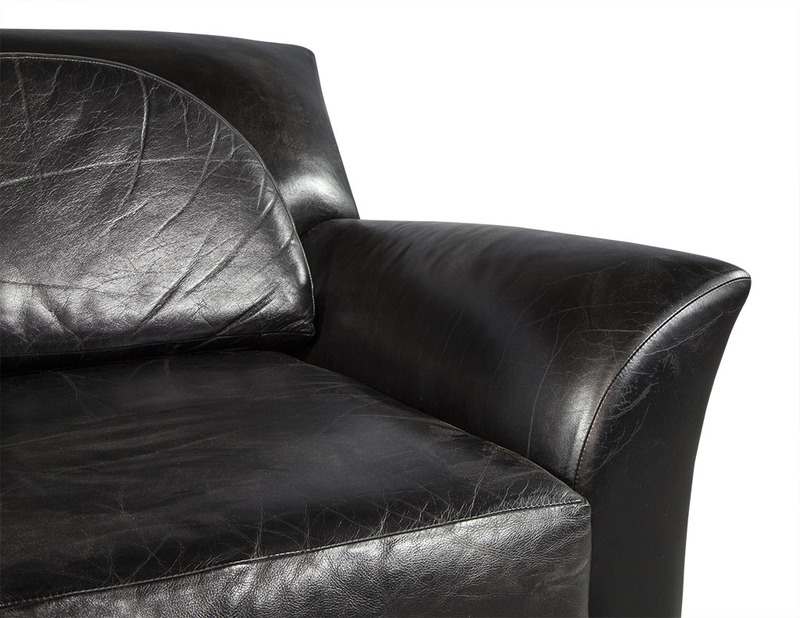 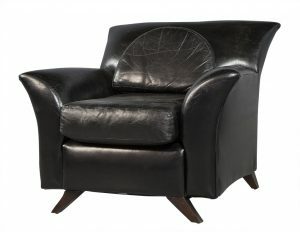 Each is upholstered in distressed black leather with semi-circle backrest pillows. 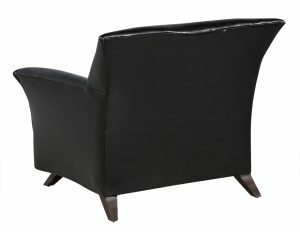 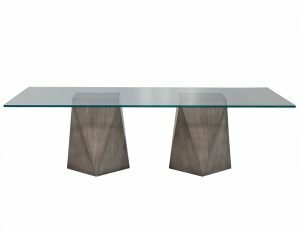 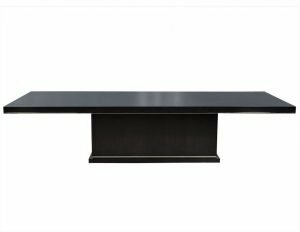 They sit atop dark brown angled, tapered legs and are perfect for a well-appointed living room!